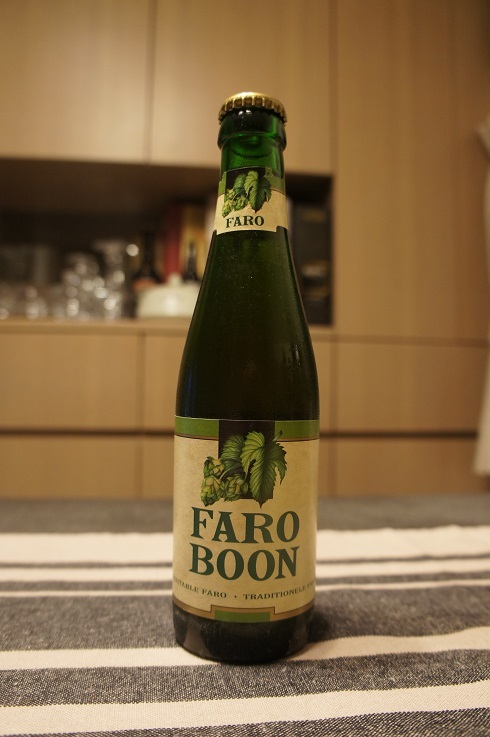 Brewer Description: (from website) Faro Boon is a beer of spontaneous fermentation for which “meertsbier” and old Lambic are blended together. 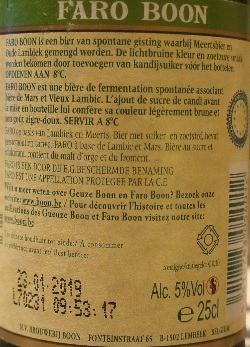 The light brown colour and sour-sweet taste are attained by adding candy sugar before bottling. Intro: A 250ml bottle with a best before date of 23rd January 2019. 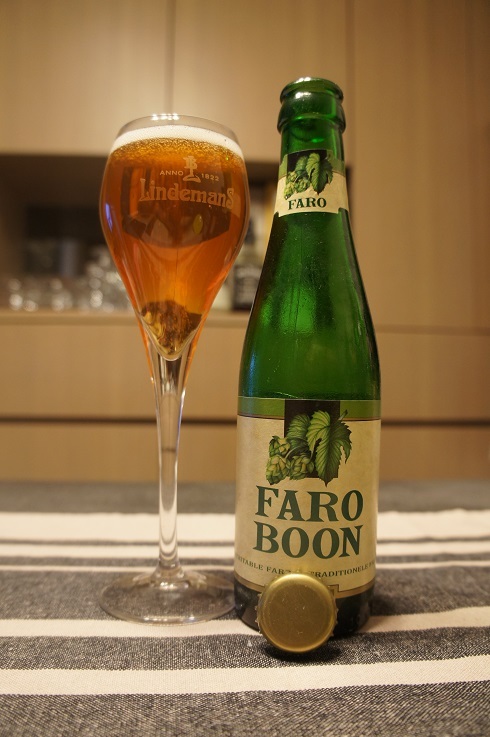 Poured into a Lindemans flute glass. Appearance: A clear copper colour with a one finger white head that dissipates quickly but settles to a thin but replenishing layer. No lacing. Aroma: Sweet-ish plum, apple juice, brown sugar and apple cider vinegar. Taste: Sweet sweet apple, apple juice, brown sugar and maybe some herbal notes. Overall: This was overly sweet for me, even though it was easy to drink.